HHFL children and youth have achieved self-reliance. Read about some of our success stories to date! 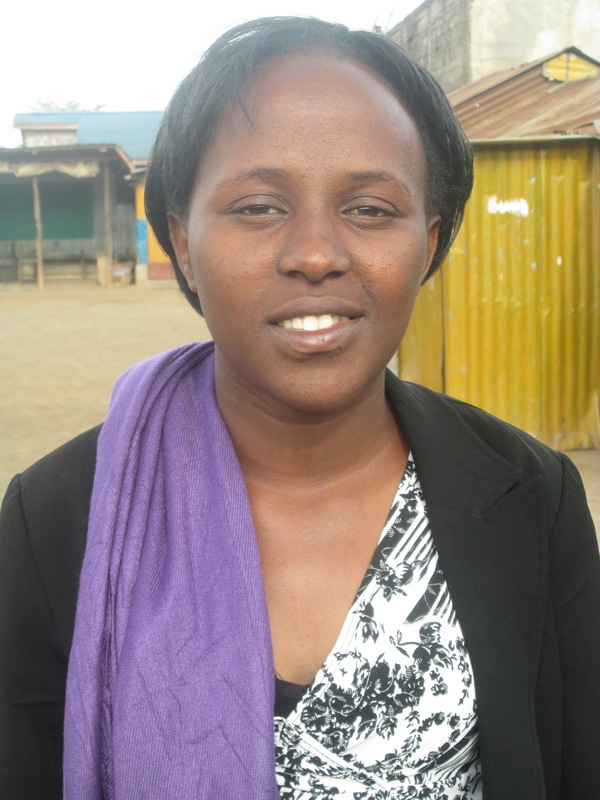 Priscah is 21 years old and joined HHFL in 2008. 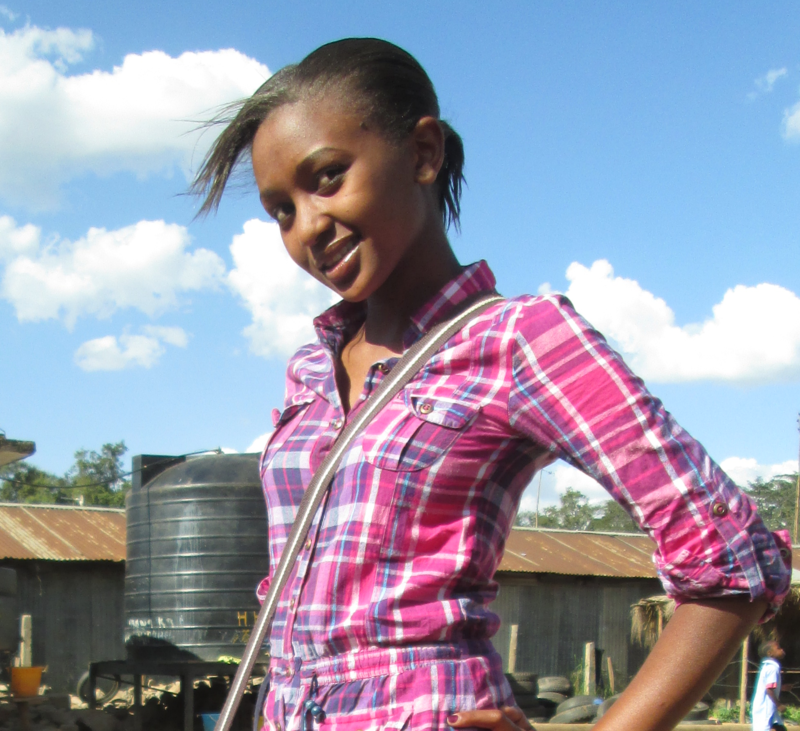 Priscah was raised in a rural setting in a loving and caring home with both parents who are poor farmers. High school was unaffordable, particularly for the girls. HHFL accepted her and paid for four years of high school. Priscah worked hard but did not have the academic foundation to be a top achiever, as is often seen with kids who attend rural schools. She dreamed of becoming a Pharmacist but her low marks prevented this. Instead, she decided to pursue a one-year diploma course at Ashley’s Beauty School in 2012. Priscah currently holds a full-time job in a local salon as a beautician and is now self-reliant helping to support her family. Lydia is a 20 year old orphan who joined HHFL in 2008. Her mother died when she was very young. She lived in the countryside until her grandmother, Mama Margaret, HHFL’s beloved cook, brought her to HHFL. She moved into the HHFL sleeping quarters because there was no room at her grandmothers house. At 19, she did not pass her second year of high school and so, given her age, we decided to send her to Ashley’s Beauty School in 2012. Since graduating, she worked for a short time in a local salon but was recently given the opportunity to work in an office environment as a legal assistant. She has never looked back! Kennedy is a 23 year old orphan who joined HHFL in 2006. He is the eldest of five siblings, all of whom joined HHFL. Both parents died of AIDS when he was 14. His mother entrusted her five children to Hanne and Ted before dying. He lived in the HHFL’s sleeping quarters with his siblings and was HHFL’s first high school graduate in 2010. 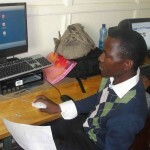 He then attended Computers for School Kenya where he obtained a diploma in Computer Science. Though he still struggles to find a permanent job, he earns enough as a freelancer to support himself fully. One of his passions is soccer. He has become a local soccer coach giving him additional income. 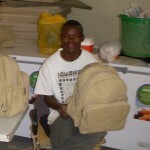 Dismas is a 21 year old orphan with eight siblings who joined HHFL in 2006. He was one of the first children rescued from the streets by Hanne and Ted. His father was a violent alcoholic whose physical abuse drove his mother to abandon the family. 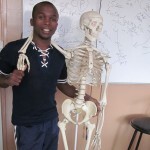 Dismas joined Grade 3 at 14 years of age. 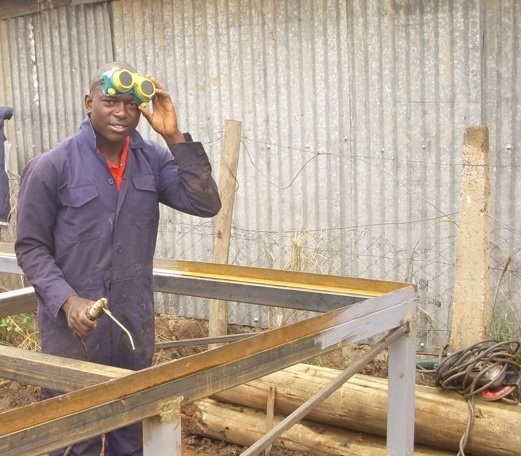 After two years, he decided to quit in favour of vocational school where he achieved a Certificate in Welding in August 2009 making him HHFL’s first self-reliant youth! 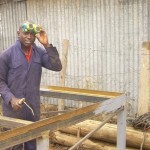 He has been living on his own and supports himself and his family by providing welding services to the community and HHFL. 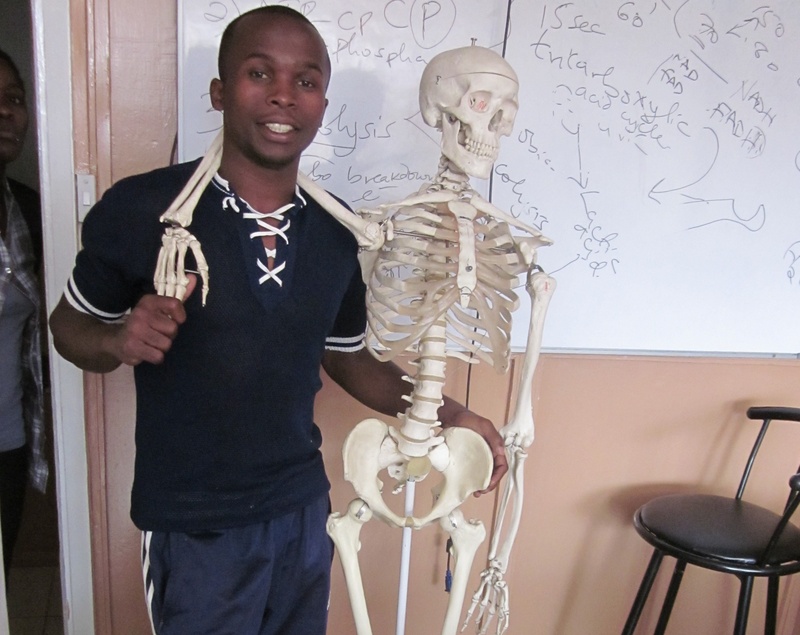 For the past two years, he has been living with HHFL’s Grison Ngugi, an orphan who has recently graduated from welding school. Eric is an 21 year old orphan whose mother died of AIDS when he was very young. His aunt raised him in the countryside where he did not receive formal education. In 2010, his aunt died of AIDS and he was brought to HHFL by another HIV+ aunt whose three boys were already enrolled in HHFL. Nineteen at the time, Eric distinguished himself through his hands-on approach and involvement in the HHFL project. 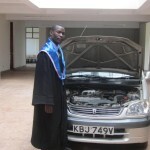 When asked what he wanted to do, he replied that his life dream was to become a car mechanic. 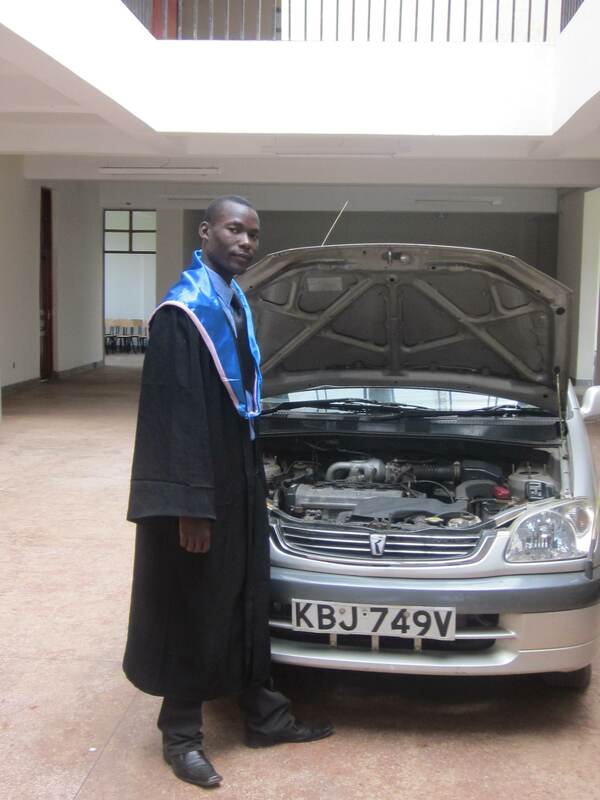 In December 2012, he graduated from vocational school and in 2013 he won an apprenticeship with a reputable car repair shop enterprise, which led to a permanent position after six months. Anthony was rescued by Hanne in 2011 when he was working for her on a renovation project. As a young orphan, Anthony was not only an endearing young man but also a determined one. He lived with his ageing grandmother who cared for him after her two daughters died of AIDS. Hanne organized for him to attend computer classes at HHFL where he set himself apart through sheer determination and a desire to succeed. Hanne and Ted arranged a six month apprenticeship as a tent tailor at one of the top tent making establishments in Nairobi. Six months later, he graduated and was offered a permanent job. With great pride, he is able to take care of himself and his grandmother. Simon is a 25 year old orphan who belongs to a family of eight kids. He grew up in the countryside and his mother died when he was in his early teens of cancer. His father became an alcoholic and died a few years later leaving his children destitute. Simon was forced to quit school and became a herding boy. But life became intolerable and he decided to move to Nairobi. By the stroke of luck, he found HHFL. Thanks to HHF’s support, he managed to complete high school in 2012 at the age of 25. Simon followed his passion and talent for fitness. He is graduating from fitness college at the end of 2013 and already has paying clients as a trainer! Lucy is a 28 year old orphan and single mother who was hiding in Lenana slum from a violent partner in 2006. 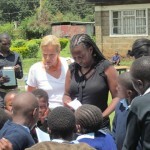 She was one of the first kids that Hanne and Ted helped and who offered to volunteer. Her intelligence, honesty and diligence set her apart immediately and within days she had become Hanne’s right hand. 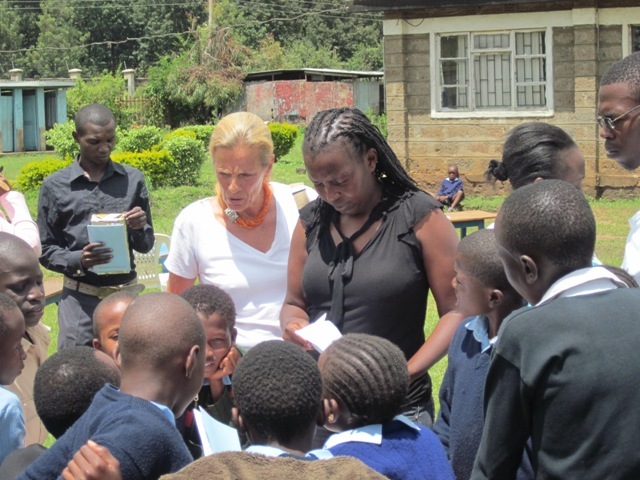 Because she was a fast learner and capable with numbers, Hanne taught her the principles of basic accounting and entrusted her with the HHFL program during Hanne and Ted’s absence. Lucy learned on-the-job and has been capably handling the budgeting and banking needs of HHFL. 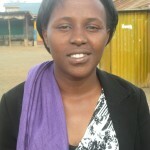 She now lives in a two bedroom apartment with indoor plumbing in Lenana slum with her two children.